Structural Bolts are a specialized heavy type of hex bolt intended for use in large structures, such as buildings and bridges. 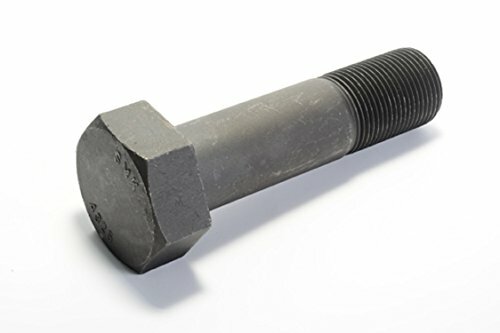 This bolt is designed to withstand the loads of steel-to-steel structural connections. A325 Bolts are designed to be used with nuts for the connection of structural members. The head of a Heavy Hex Structural Bolt is specified to be the same size as a Heavy Hex Nut of the same nominal diameter, thus allowing a single size wrench or socket to be used on the bolt head and the nut. Hex Bolts also have a shorter thread length so that the threads can be eliminated from the shear planes of the connection. The bearing surface of structural bolts are flat and washer faced and the point is chamfered. High quality steel is used for strength and durability on structural Bolts. Since 1946 Jet Fitting & Supply has been a leading supplier to manufacturers, assemblers and DIY enthusiasts. Jet Fitting delivers solutions to a well-diversified group of industries including aerospace, commercial, construction, electronics, marine, military, telecommunications, transportation, Makers and DIY'ers. Heavy Hex Steel bolts are designed to withstand the loads of steel-to-steel structural connections. High quality steel is used for strength and durability on Hex Structural Bolts. Hot-dip galvanizing delivers long-term, maintenance-free corrosion protection of A325 Bolts. View More In Hex Bolts.